For another week in a row, the App Store shows no signs of slowing down and another crop of notable new weekly releases is just arriving. As we head toward the Memorial Day Weekend, at least many of you will have the long weekend to relax and catch up on some of these games. There seems to be a bit of a ‘shooting’ theme to a number of the new titles this week, and starting us off we have Bill Killem, Chillingo 16-bit pixel art runner about an action hero trying to stop an alien invasion. Keeping the adrenaline rush going is Small&Furious, a rather fun looking physics-based cart racing game with loads of cute looking cars and characters and which encourages crashing, destruction and abuse of Nitro. XMG Studio is back this week with Dragonwood Academy: A Game of Stones, a free-to-play casual CCG (or in this case collectible stone game). Players take on the role of wizarding student at Dragonwood Academy and ” strive to rule the school by unleashing torrents of entrapped magical creatures on your schoolyard rivals, casting powerful spells and competing for eternal bragging rights on the ever-changing battlefield”. On the paid side of things…Parasol is a unique looking 3D puzzle game that will have players twisting and swiping to manipulate the world in order to help Parasol, a flightless bird named reach the delicious apples. With its Frank Miller / Sin City comic art style, SXPD quickly grabs your attention. 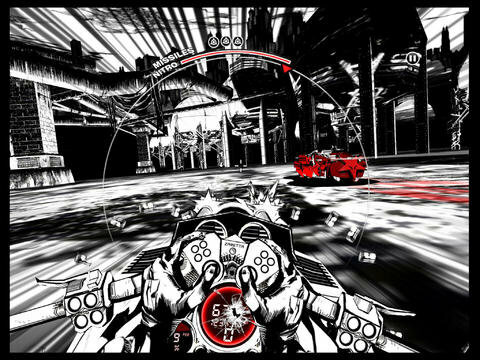 A mashup of action racing game and a digital comic book, you play through each of the game’s six chapters to “unlock and unravel the whole story”. Set among a richly rendered 3D landscape, Globosome: Path of the Swarm is based on Sascha Geddert’s animated short. It is an adventure / exploration game in which you are a little ball-like creature who has lost his swarm, and now you must try to find it by exploring the jungles and dangerous plant life around you, learning new skills along your way to help you on your journey. The game can be played via the accellerometer, touch controls or external controller. One of my all-time favorite shows ever has to be MacGyver. 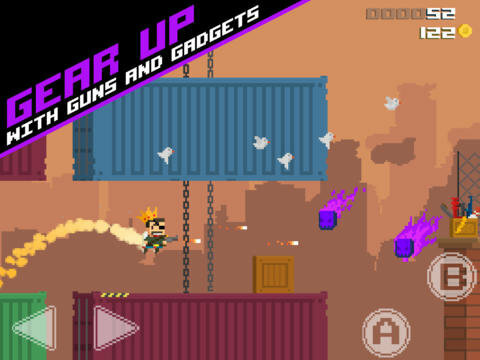 So needless to say, I got pretty excited when I saw FairPlay Media’ ‘MacGyver’ game pop up on the App Store out of nowhere. MacGyver Deadly Descent appears to be a logic and memory puzzle game collection with a overarching narrative, in similar vein as apps like The Curse and The Voyage, but with a comic book style MacGyver theme. Surprise, surprise, Scientists have become trapped in an underground laboratory and are running out of air, so as usual, it is up to MacGyver to make his way through the labyrinth of puzzles to free them. It is worth noting that a portion of the proceed from the sale of the game will be donated to The MacGyver Foundation. GlitchSoft is back on the App Store bringing the mobile action platforming expertise they honed with both Star Marine: Infinite Ammo and He-Man: The Most Powerful Game in the Universe to another popular franchise…The X-Men! Uncanny X-Men: Days of Future Past let’s you play as some of your favorite X-Men characters including Wolverine, Kitty Pryde, Colossus, Cyclops and Scarlet Witch, each with unique powers and abilities. 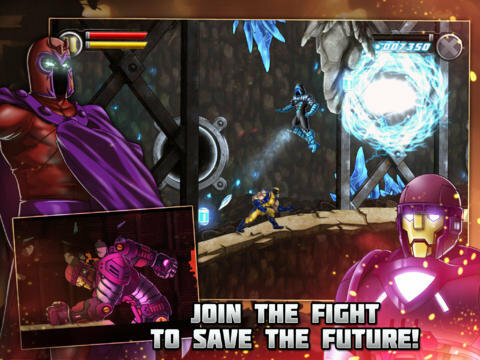 You will “fight for the future of mutant and human kind” in this game based on the original Days of Future Past” storyline from the comics. In a tragic future, the United States has been enslaved and destroyed by the mighty Sentinels and you must fight the Sentinels and go back in time to stop this from happening. As a fan of the X-Men, especially the 90’s animated series which covered this storyline as well, this certainly looks like a must-have title of the week for me. The Netherlands-based studio Game Oven is known for their innovative games like Bam fu and Fingle, which utilize and interface with iOS devices in new and different ways. Their newest title, Bounden is no different…or perhaps I should say that it is different…quite different in fact. It is a co-operative dancing game for two players featuring real choreography by the Dutch National Ballet. “Holding either end of an iPhone, you tilt the device around a virtual sphere following a path of rings. You swing your arms and twist your body, and before you know it, you are already dancing.” I got to try this game out with one of the developers at PAX East earlier this year and while admittedly a little awkward at first, you quickly find yourself laughing and going along for the very unique ride. 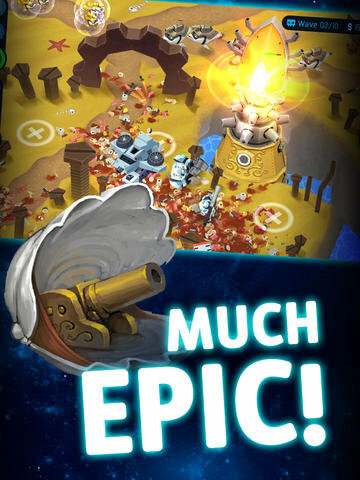 Next up is a humor-filled, crazy new tower defense game from SMG, a brand new studio out of Australia. As a commander in HEROCORP (the universe’s 4th largest private military force) it is up to you to “preemptively defend” the Earth against alien dimensions. Appropriately called Over The Top Tower Defense or OTTTD for short, the game includes some elements of RTS and RPG to keep you engaged as you leave massive bloody pools of alien gore at the base of your defensive towers. Self-described as “Spaceballs meets Starship Troopers”, I couldn’t think of a better description of this humorous take on the genre. From what I’ve played of the game thus far, it is well worth a look. 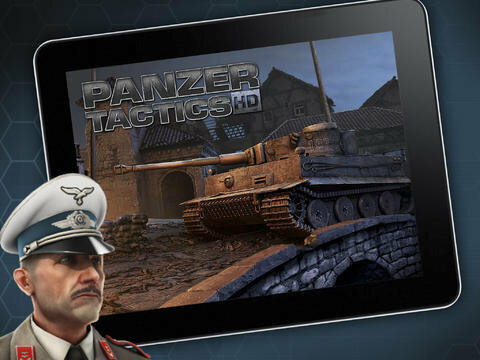 Finally that brings us to the last title of the night, Panzer Tactics HD. I’ve never owned any of the Nintendo DS line of handhelds, so I’m not familiar with the title, but this game is a remake of a popular WWII-era strategy game made for the DS in 2007. It is 1939 and the world is on the brink war. Your tactical abilities will be put to the test as you try to complete historical missions by land, sea and air. For the price of admission you get a single-player campaign on the side of the German army, with the Soviet army and Western Allies campaigns available via an additional single $6.99 in-app bundle. Go to the second and third pages of this post to watch the trailers for these games.